Francis J. Palo, Inc. originated in 1954 as Francis J. Palo Excavating. Francis J. Palo, Inc.'s primary activity is that of general contracting. 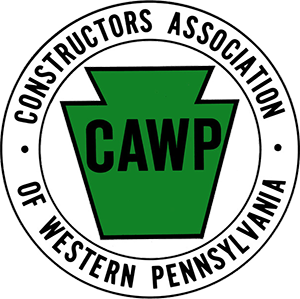 Since its inception, the company has worked for over one-hundred (100) Municipalities, Boroughs, Authorities, and Townships, and has gained an excellent reputation for its performance in bridge and road construction, sewer and water line work, building construction and demolition work. Private clients include Refineries, Power Plants, Dams, Hospitals, Airports, and Schools. During its 60 plus years, Francis J. Palo, Inc. has been heavily involved in road and bridge construction and is a Prequalified General Contractor with the states of Pennsylvania and Ohio. Francis J. Palo, Inc. is highly respected among other Contractors in the industry and has built an excellent reputation over the years in both contract performance and in prompt payment of all obligations. Francis J. Palo, Inc. has a 3A1 credit rating with Dunn & Bradstreet (Account #01-396-8659). In addition to being a year-round stable enterprise with over forty full time employees, Francis J. Palo, Inc. has several banking affiliations, both locally and in other areas of the country. Maintaining an extensive line of credit the company will provide credit references upon request.